Just when you thought that the LABron signing was the biggest news in basketball on Monday, Gilas Pilipinas and Australia stole the show to cap off the first round of the Asian Qualifiers for the 2019 FIBA World Cup. And just like their game last February, the Australians blew out the Filipinos, 89-53. It was how Gilas loss that took the cake. It didn't matter how it started, but it ended up being a brawl between the two teams, eventually leading officials to eject most of Gilas' players and had them play the Aussies 3 versus 5 on the court. 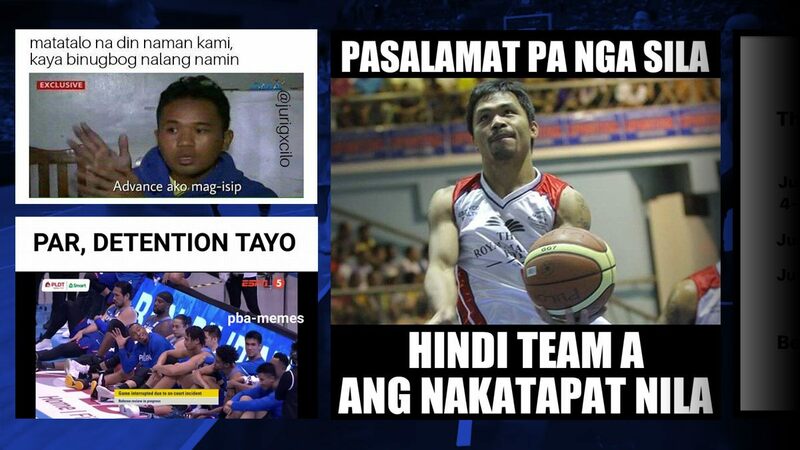 This of course spawned the most hilarious memes on social media that can only be branded as "Tatak Pinoy." LeBron gets overshadowed yet again. At least they enjoyed it. We'd all like to see this, admit it. Junemar, the true G. O. A. T.